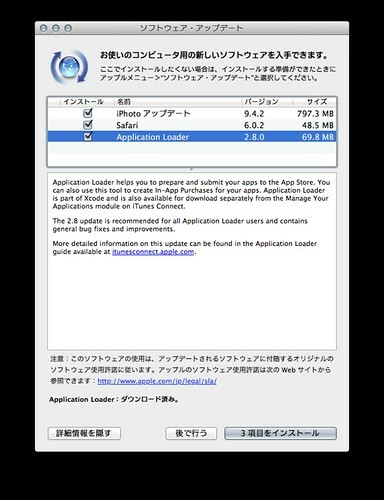 Application Loader helps you to prepare and submit your apps to the App Store. You can also use this tool to create In-App Purchases for your apps. Application Loader is part of Xcode and is also available for download separately from the Manage Your Applications module on iTunes Connect. The 2.8 update is recommended for all Application Loader users and contains general bug fixes and improvements.